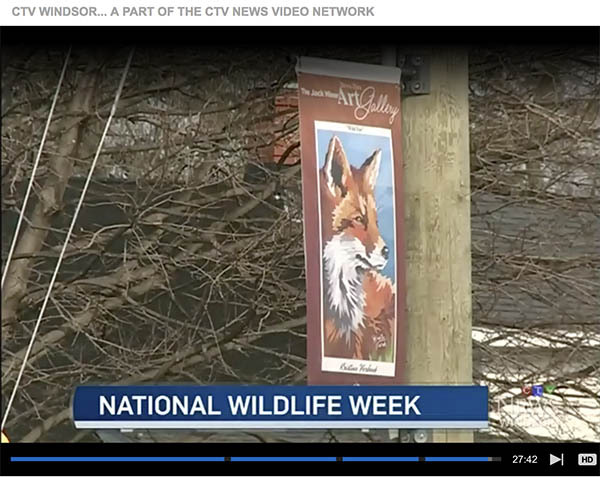 Celebrations are underway this week in Kingsville to honour Canada’s first conservationist during National Wildlife Week. The Canadian government declared National Wildlife Week in 1947 to commemorate the work of Miner and all of his conservation efforts. 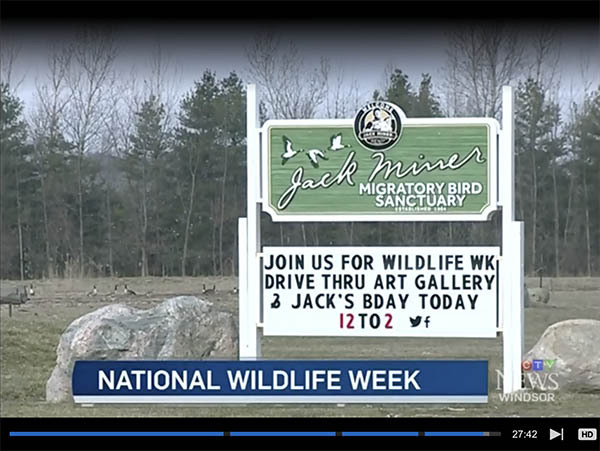 A number of events are planned for the week throughout the town and at Jack Miner Bird Sanctuary. 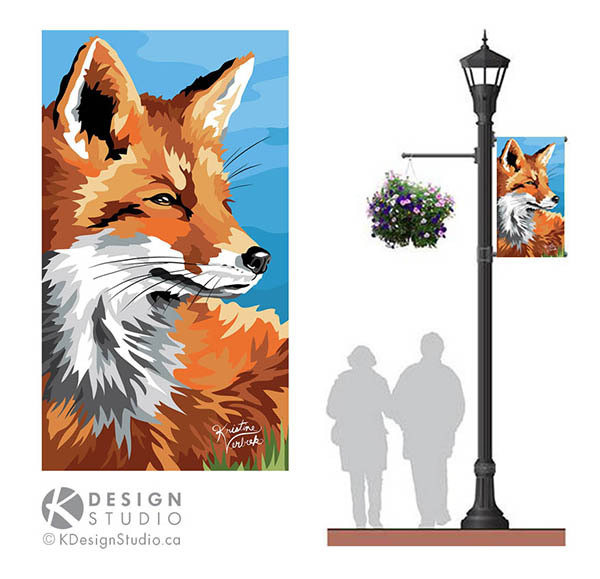 This includes the Jack Miner Drive-Thru Art Gallery, which showcases local artist’s work on banners throughout the town of Kingsville, including our very own, Kristine Verbeek’s colourful “Wild Fox” illustration. Her fox will be shown, along with other wonderful local artist’s work, from now until October. Kristine’s Fox was depicted and illustrated digitally using simple, bright, solid colours to help the sunlight shine through. See snap shots below! Jack Miner was the Father of Conservation. I wanted my artwork to reflect one of the many creatures he helped to protect. The red fox is one of my favourite animals, and I was thrilled to discover a family with 3 healthy kits residing within the forest nestled along the edge of our new Mettawas Park. Foxes are such beautiful, mysterious, and playful creatures. The sighting of these foxes, to me was a gentle confirmation, and reminder how important it is that we continue to carry on Jack Miner’s work and protect and maintain our remaining wildlife areas for these wonderful creatures, and future generations. 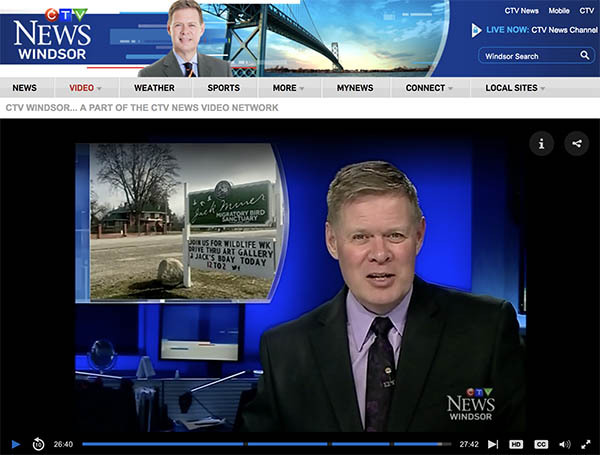 Kristine Verbeek is the Creative Director and Illustrator for K Design Studio in Kingsville, Ontario. She is a true adventurer, and loves submerging herself in nature and discovering new places and creatures. Her passion for nature was nurtured since she was a young girl, venturing on many hikes with her family and particularly with her Grandpa. He taught her the names of birds, and would draw them for her, and sent her years worth of Ranger Rick magazines! Kristine has always loved illustrating wildlife, and also has a life-long goal of visiting all of the National Parks across Canada. If you cannot find her, she’s somewhere in nature, being inspired.